Hubspot and LinkedIn recently worked together to build an ebook about creating a love story between sales and marketing. We loved the idea and it got us thinking about how the relationship between Inbound and Outbound marketing has a similar dichotomy. 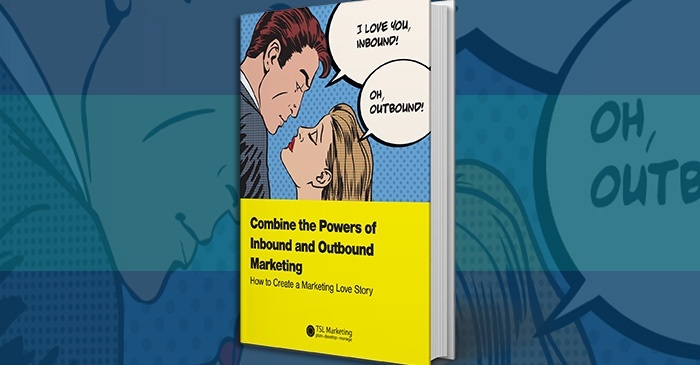 Out of those conversations we created our own eBook about How to Create a Love Story between Inbound and Outbound Marketing. By now everyone has seen the SiriusDecisions reports that say that 67% of the buyer’s journey is done digitally. The hope of great inbound marketing is that it can attract prospects to your digital content and get them to interact with your brand. In theory this alleviates the need to make thousands of outbound cold calls to spread the word about your services and solutions. Inbound marketing tactics like content marketing, SEO, and social media can do a lot to get your brand in front of people who are researching for services and solutions like yours. It gives you the opportunity to be a part of that research process, and shows that your organization understands their problems and can address their needs. Inbound marketing is not the whole answer though. Once you’ve piqued your potential customer’s interest, they still need the human interaction provided by outbound marketing to build a relationship that will bring in sales. The answer to achieving results is tightly integrating your inbound and outbound tactics into a converged campaign. Outbound marketing is often associated with cold calling. Some people think of this type of calling as disruptive and annoying. But great outbound marketing done by professionals should produce a net positive customer experience. Great telemarketers know that their job is to be there to help the prospect through the buying process. Great telemarketers have the uncanny ability to get a prospect into a conversation even if they weren't expecting a phone call. We've all had a bad experiences with an overzealous telemarketer. Bad telemarketers provide plenty of ammunition to the telemarketing naysayers who say that telemarketing doesn't work.But telemarketing agencies like ours still thrive because phone calls--even cold ones, produce results. DiscoverOrg reported that 60% of IT executives said outbound calls or emails led to a vendor being evaluated. 75% said they’d decided to attend an event or take an appointment after receiving a cold call or email. Outbound marketing provides that human interaction that makes potential customers feel important and cared about. Telemarketing in the form of a cold call can help flow new contacts into your CRM and content marketing work flows. It's a proactive way of getting in front of that audience who has just started to do their buying research, but who have not taken the steps to actively engage with a vendor. It's a way for your brand to be out in front of the buying process and to get your message out to a customer before they've made their final decision. Once inbound marketing draws leads to your business, outbound marketing has the power to nurture and qualify them in a way that is only possible through human-to-human contact. Automated lead scoring systems are imperfect. They don't take into account where someone is in the buying process, only how much they've engaged with your specific brand in specific ways. Lead scoring and marketing automation only measure activities they cannot listen to a prospcet. In a real conversation, a person can listen and repeat back the prospect’s concerns to make them feel validated. The empathy conveyed on a phone call can make the prospect feel that you and your organization understand the problems they face. If a prospect has reservations that stand in the way of a sale, a human being can draw these objections out and work on overcoming them in a way that marketing automation systems cannot. If a prospect doesn’t click on a CTA or fill out a form the blog or landing page can’t ask them why or try to understand their reluctance to engage. Ideally, there shouldn’t be competition between digital marketing and outbound salespeople. This should be a love story. 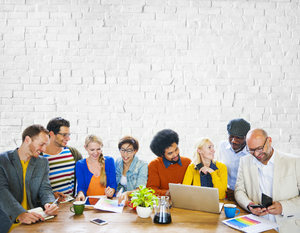 Companies should focus on how inbound and outbound marketing teams can work together. A lot of companies are enamored with marketing automation tools, but there are limits to what they can do. While marketing automation helps your middle funnel, your business still needs a strong top-of-the funnel foundation. Marketing automation may provide leads, but you still need context for these leads, such as who these leads are, where they are in the funnel, and what their interests and needs are. Outbound marketing allows you to nurture and qualify these leads, as well as to generate new leads through research. Your marketing is losing out if you don't incorporate salespeople in every stage of the buyer’s journey. 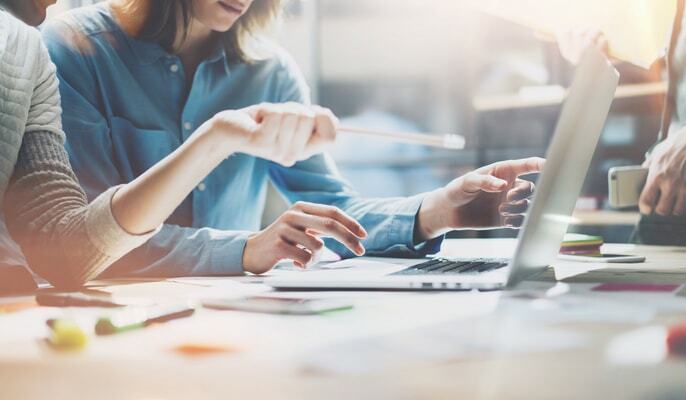 As marketing becomes more customer-centric, inbound marketing will continue to be a powerful way to tailor your marketing effort to prospect’s interests and needs. Blogs, white papers, and webinars give added value to your prospects by educating them and helping them develop a sense of their needs and the solutions that will answer these needs. 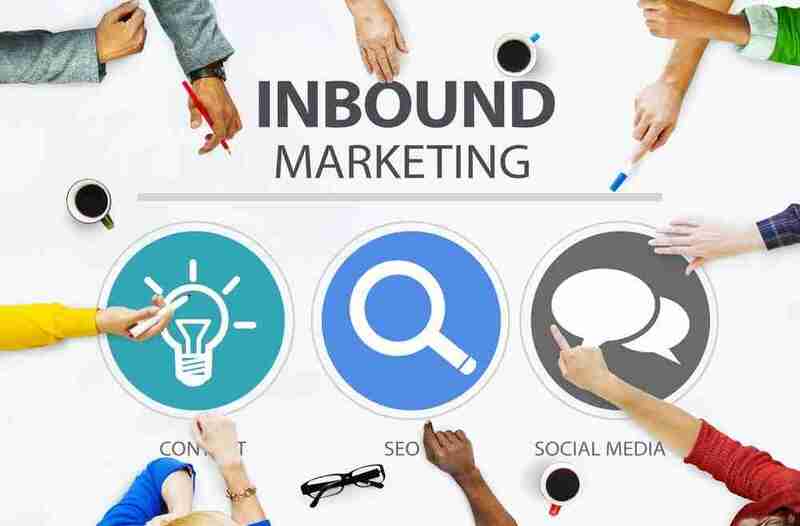 Once inbound marketing has attracted and engaged customers, telemarketing follow up has the power to engage these prospects and qualify them so they can be converted into SQLs. Outbound marketing still pays off. One of the key takeaways at the SiriusDecisions Summit 2015 was as price increases, human interaction increases. Are you humanizing your inbound marketing with human engagement? Are you supporting your outbound marketing efforts with great digital content? Integrated marketing can give your business an edge by enhancing both your inbound marketing efforts and your outbound efforts. By informing your content creation and lead nurturing plans with human engagement, you start to ensure that your content delivers value to your customers and prospects. Salespeople can ask prospects what kind of content they're looking for to inform their buying decision. They can use these customer and prospect recommendations to inform your inbound content creation process. By engaging your outbound teams in the content creation process you get them to have a better sense of investment in your inbound marketing plans. You support them with better content that is more aligned with customer needs. For a more detailed look at how to combine the powers of inbound and outbound marketing download our eBook to help you start building your integrated marketing plan today.